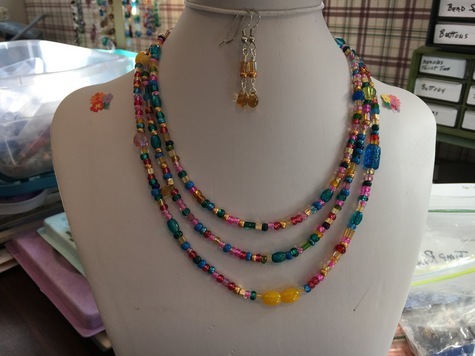 Handmade jewelry! Made with good quality components. Glass beads various shapes and colors.